Microsoft SharePoint is software which is developed by Microsoft in the collaboration with web publishing under a single server. It is capable of developing websites, intranets, portals, and content management systems, Wikis, search engines, blogs and other business tools, which can help any business to be more advanced at its technological level. 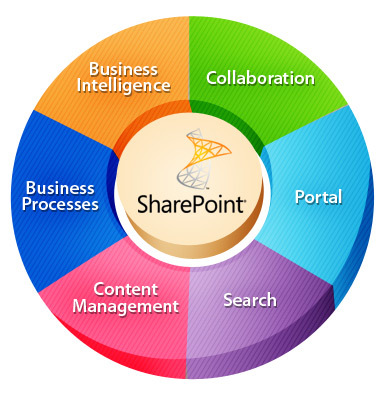 Microsoft SharePoint allows you to connect your employees, clients and business partners to your projects at all times. With our help you can easily customize many functions which are built in. Microsoft SharePoint can also be customized in accordance with your needs and requirements and Empirical Edge, Inc. can help you. Empirical Edge, Inc. possesses a team of dedicated Microsoft SharePoint Developers with expertise to develop and deploy Customized SharePoint Applications. Our team understands your business processes, organization’s workflow and enterprise content management needs and will help you design a custom SharePoint portal to improve your enterprise business performance and maximize the return on SharePoint development investment. A process or workflow platform. Get users up to speed quickly. Deploy solutions tailored to your business processes. Reduce the complexity of securing business information. Take file sharing to a new level with robust storage capabilities. Build a collaboration environment quickly and easily. Improve team productivity with easy-to-use collaborative tools. Provide a cost-effective foundation for building Web-based applications. Easily manage documents and help ensure integrity of content. Easily scale your collaboration solution to meet business needs. Provide sophisticated controls for securing company resources. Empirical Edge, Inc. has ample of experience in dealing with the work and development of the Microsoft SharePoint Server (MOSS). We do provide business content management, process implementations, handling of business reports and records, inter and intra-team collaborations with sites, searching, accessing and analyzing the data of the business with the use of MOSS. With the support of MOSS, we have developed many customized portals for the employees in order to help them in storing and sharing their personal information with the HR profile, contact details, other work data and details with the help of the MOSS. Empirical Edge, Inc.provides you with efficient and dedicated service to help out at every step of the process. Consulting Services for the Clients. Microsoft SharePoint Designs and Branding Services. 1. Document management implementation for Sentegroup. 3. Developed custom workflow and custom sharepoint app for McKesson.